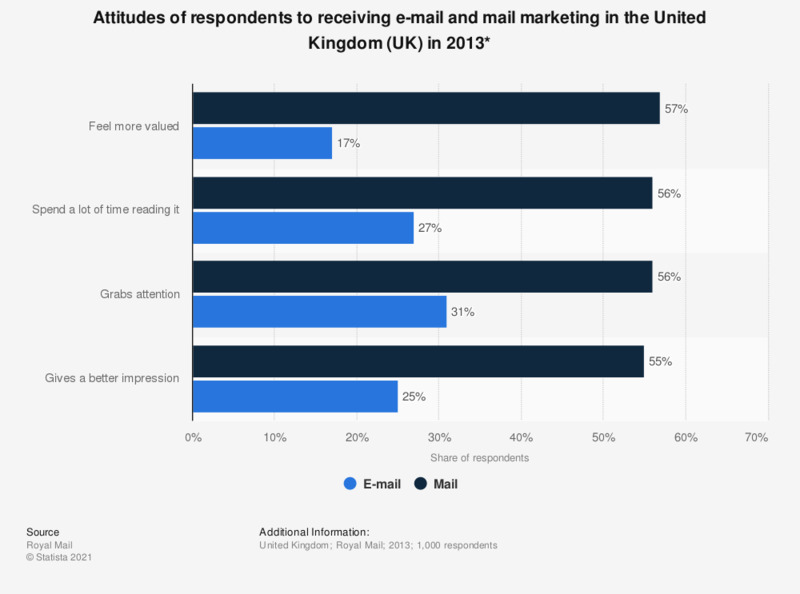 This statistic displays consumer attitudes towards receiving mail and e-mail in the United Kingdom (UK) in 2013. Among UK consumers, 57 percent reported "feeling more valued" when receiving mail, while 55 percent thought mail gave a better impression than e-mail. * Question asked: "Thinking just about the messages you get from businesses, please tell me whether you think [statement] is most true of mail, or of e-mail in your opinion?"